.Net ModelKit Suite is a package of .NET components for data processing, analysis and visualization. The suite includes a report generator, OLAP component, a tool for creating digital dashboards and KPI and a component for charts and graphs design. Royalty Free OCR . Net Components that you can integrate into your . Net application to interpret ASCII text from Bitmap or Image Files. . . The .NET Dashboard Suite is a pack of .NET components for complicated and intelligent digital dashboard creation. The package includes the component for hardware emulator creation and the component for interactive graphs and charts creation. OLEDB Direct Components Suite allows direct access to OLEDB interfaces from Borland (c) Delphi and C++ Builder. OLEDB Direct Components Suite allows direct access to OLEDB interfaces from Borland (c) Delphi and C++ Builder. OLEDB Direct Components Suite is a set of VCL-style Components that allow database access using OLEDB interfaces. They are designed for extremely fast data access and it provides a possibility to use database services that are additionally implemented. Managed VCL is the best components suite for .Net interop in Delphi Win32 and C++ Builder. It is designed to provide a way to interact with applications written in anyone of .Net languages - C#, Visual Basic.Net, JScript.Net and others. Gnostice PDFOne .NET is a component suite with a rich set of APIs. It allows developers to easily create applications that can view, print, create, edit, enhance, stamp, secure, merge and split PDF documents. .NET Excel Component - Nasosoft Excel v4.2 is a rich feature Excel control for C#/VB.NET to enable your application to read/write Exccel files. It supports Excel 95-2003 format and Excel 2007 format (.xlsx). PureComponents .Net WinForms Suite is a very complete set of enterprise quality Components in the .Net WinForms market with eighty innovative controls including LightGrid, RichCalendar, GridCalendar, RibbonUI, TreeView, VisualExtender and many more. Instrumentation ModelKit provides a library of ready-made gauges: Meters, Dials, Sliders, Switches, Manipulators, Scales and a full featured graphics editor allowing for the creation of advanced gauges from scratch. Alvas.Suite is a bundle (6 in 1) of components libraries for C# and VB.Net Developers which includes: Alvas.FileControls + Alvas.Audio + Alvas.Controls + Alvas.Scriptor + Alvas.ShapeForms + Alvas.Labels. Nevron .NET Vision is the ultimate suite for creating unique and powerful data presentation applications with spectacular data visualization capabilities. 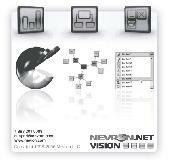 Features Nevron Chart for .NET, Nevron Diagram for .NET and Nevron User Interface for .NET. PlotLab is a set of .NET 2.0-4.5 components for very easy and fast Data Visualization. Allows very fast display in a Plot/Scope/Chart or Waterfall form. Great for FFT or Histogram Visualization! Free for non-commercial use. .NET connected dataset for data-aware components like DataGrid, which is intented for Oracle database. Allow automatically lock, refresh editing record, check integrity constraints, support server generated values. Based on ODP.NET. 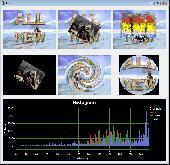 BasicVideo is a set of .NET 2.0-4.5 components for fast video capture and playback. Allows implementing capture and playback with zero lines of program code. The library supports large number of formats and technologies. Free for non-commercial use. BasicAudio is a set of .NET 2.0-4.5 components for easy audio capture and playback. 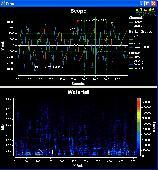 Allows audio capture and playback with zero lines of program code. The library supports large number of formats and technologies. Free for non-commercial use.